"We consider the Israel Navy and Defense Ministry to be advanced potential milestone clients." Other potential clients are in touch with Elbit as well. "We would not have entered into this if we did not have a business plan, and if this did not cause much interest and amazement," Ben-Dov added. A submarine's advantage lies in its covert presence, and radars are ineffective in discovering it, he said. Costly task forces, made up of sonar planes and helicopters, or frigates that cost hundreds of millions of dollars to build and operate, have traditionally been used to detect and neutralize such threats. Seagull, which costs only tens of million dollars (for two vessels, an array of payloads and a ground control station) "changes the balance of power between defender and submarine. The submarine is always used offensively, either to gather intelligence or to attack." When it comes to mine detection, "we take the sailors out of the mine field," Ben-Dov said. One vessel carries two sonar sensors located in the bow and stern, and if suspected mines are detected, a second vessel lowers a robot into the water, to investigate further. "This is a robotic boat that sends other robots into the water," he added. Once a threat is confirmed, the USV will launch a wire-guided torpedo that receives sonar guidance data from the USV. As it closes in on the target, it switches on its own electro-optic camera for the approach; when very near the target, it detonates itself. 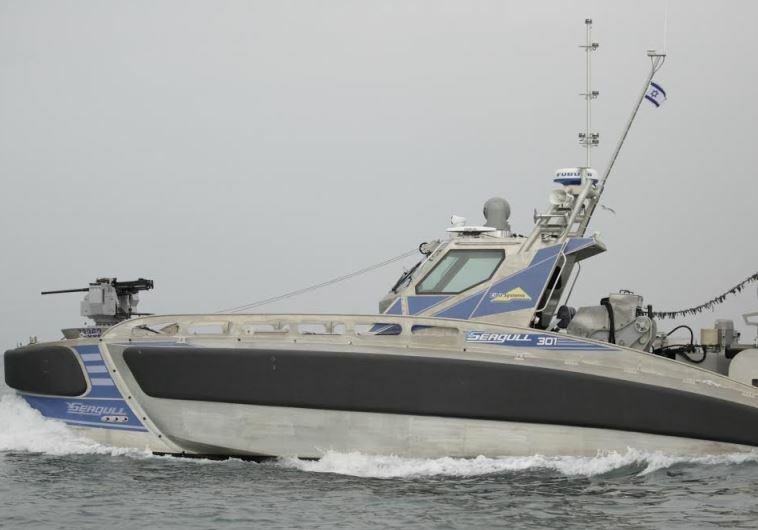 The two-vessel format enables Seagull to be fitted with payloads for antisubmarine warfare, countermining (including floating mines, which can be shot and blown up), sea and port security missions, or electronic warfare missions. 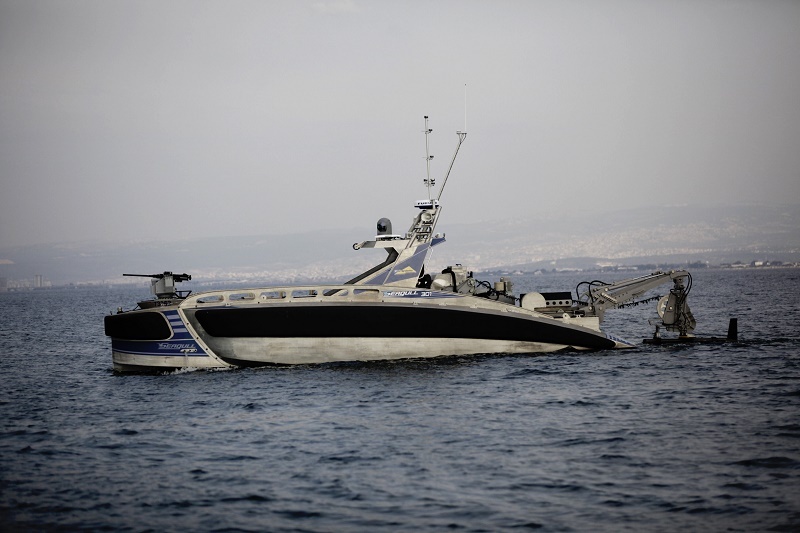 The USV is equipped with two main engines and two thrusters, allowing it to achieve speeds of up to 32 knots, and to turn on the spot. 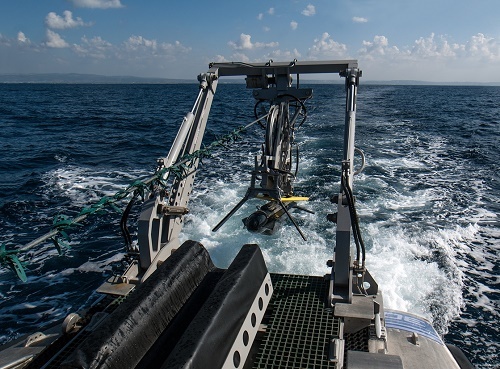 Elbit officials said it is highly autonomous, and can circumvent obstacles while adhering to international sea passage rules, even if the command link is cut. A satellite link can keep controllers in touch with the USVs beyond the line of sight communications, and they can operate continuously for up to 96 hours. A remote-controlled 12.7-mm. machine gun is attached to the bow. "In recent years, we have identified a growing trend towards sea-based activities," said Elad Aharonson, executive vice president and general manager at Elbit's ISTAR Division. 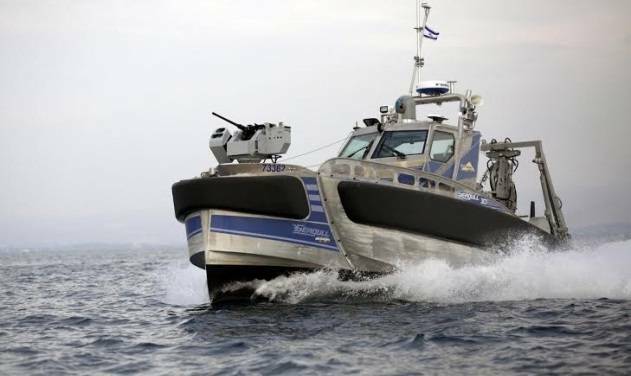 In Israel's case, he added, the ability by the defense establishment to secure the country's air and sea spaces against enemy threats means that hostile states and terrorist organizations could seek the underwater arena as the next place to try to mine ports and launch attacks. The Seagull "becomes an asymmetrical advantage for those who use it" against submarines and sea mines. Both vessels can be controlled from manned ships or from the shore, and the system is fully operational.